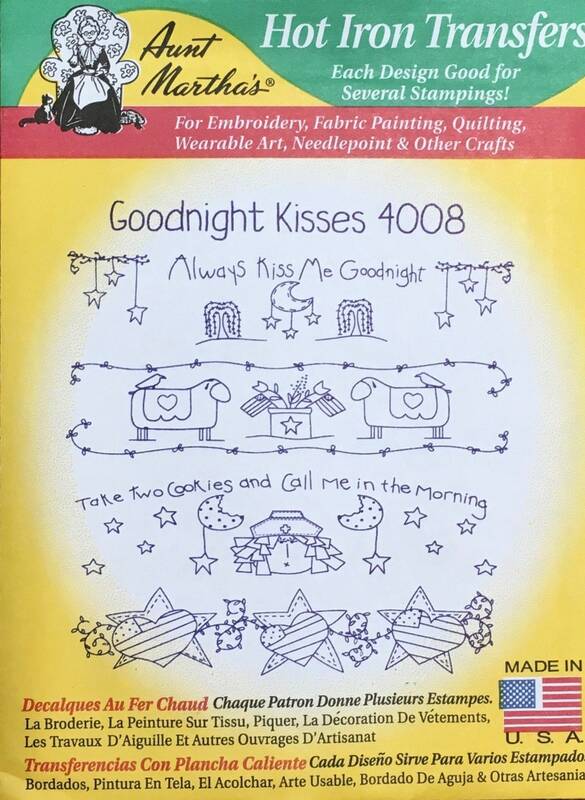 Goodnight Kisses (Always kiss me goodnight, Take two cookies and call me in the morning, patriotic hearts and stars, Pennsylvania Dutch sheep and tulips) - Aunt Martha's Hot Iron transfers. Each design is good for several stampings. Use these for embroidery, fabric painting, quilting, wearable art, needlepoint, cross stitch, and other crafts! Made in the USA!